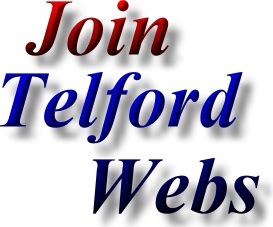 The Telford Snooker web page is provided as a free service for the people of Telford, Shropshire. All that we ask in return, is that listed Telford Snooker Teams, Telford Snooker Clubs & Telford Snooker Leagues place a link on their website back to us and hopefully mention us on their league fixtures & other paperwork. Address; Hadley United Snooker Team, High St, Hadley, Telford, Shropshire. TF1 5PB. Members club near Hadley Centre with large car park, Pool table, Snooker table, Bowling Green and darts facilities. The Hadley United Services and Social club competes in Telford Pool Leagues, Telford Bowling Leagues and Telford Darts Leagues. Address; Sir John Bailey Club Snooker Team, 23 Haygate Road, Wellington, Telford. Shropshire TF1 1QX. Members club near Wellington Town Centre with large car park at rear, 1 pool table, 3 Full size Snooker tables, Bowling Green and darts facilities. The Sir John Bayley club competes in Telford Pool Leagues, Telford Bowling Leagues and Telford Darts Leagues. Telford and District Snooker League. Mastercraft Hand Made Snooker Cues; Professional Quality Hand Made Snooker cues made in Telford. Address; Unit 8a, Rodenhurst Business Park, Rodington, Shropshire. SY4 4QU. Mastercraft Cues specialise in the production and development of traditional English hand made Snooker Cues and Pool Cues. With over 30 years experience in Snooker Cues - Pool Cues craftsmanship Mastercraft Cues search through their vast stocks of hardwood timber suppliers to select the very highest quality materials available. Mastercraft Cues believe that the very best Snooker Cues and Pool Cues can only be crafted by using the finest quality of kiln dried straight grained ash and superior hardrock maple available.